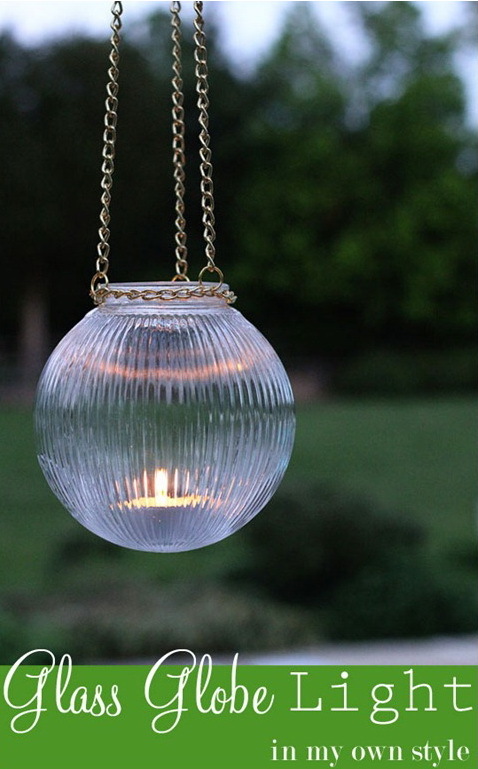 The importance of outdoor lighting is likely often underrated. 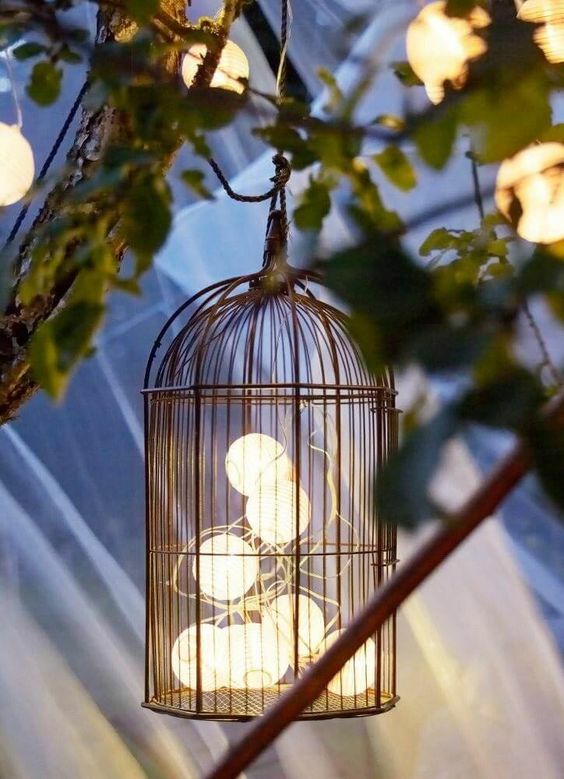 While it is undeniable that outdoor spaces are more used during the warmer seasons and daytime in general, porches and backyards can still serve as the ideal location for a night event, even in the colder months, and unless you’re hosting a candlelit dinner, you definitely need some light. 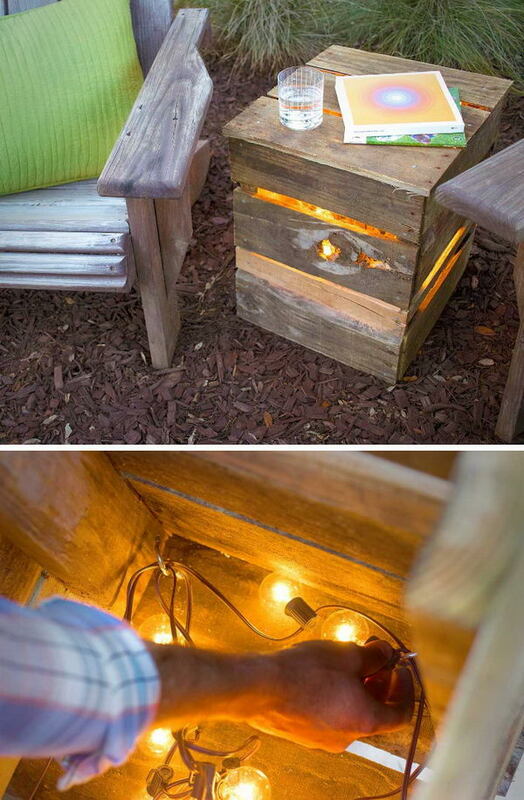 Adding some light to the outdoors is as much of a creative project as doing so indoors, if not more. 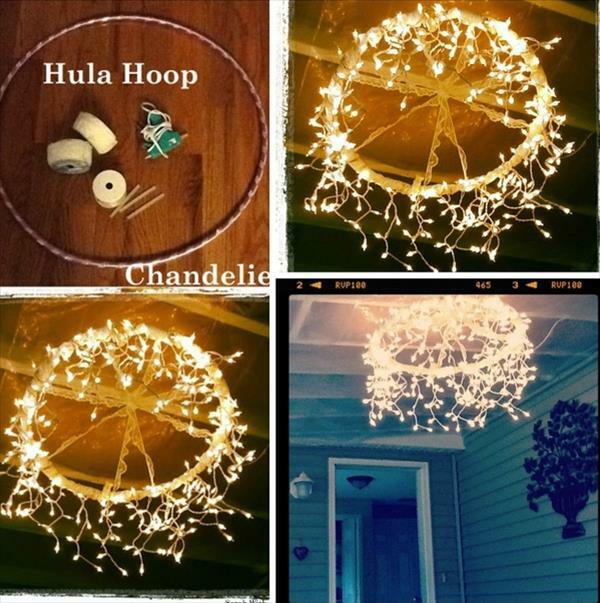 You can light up a path to your front or back door, place spotlights on the floors or even light up your furniture and plants. 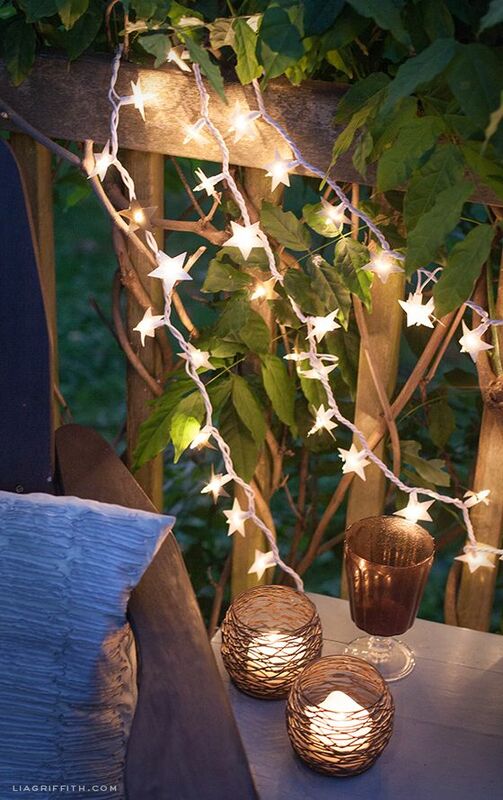 The best thing about outdoor lighting and the creative process of finding your ideal solution is that you have full control over every detail, from what kinds of lights you’re using, to where you’re placing them and, perhaps more importantly, your budget. 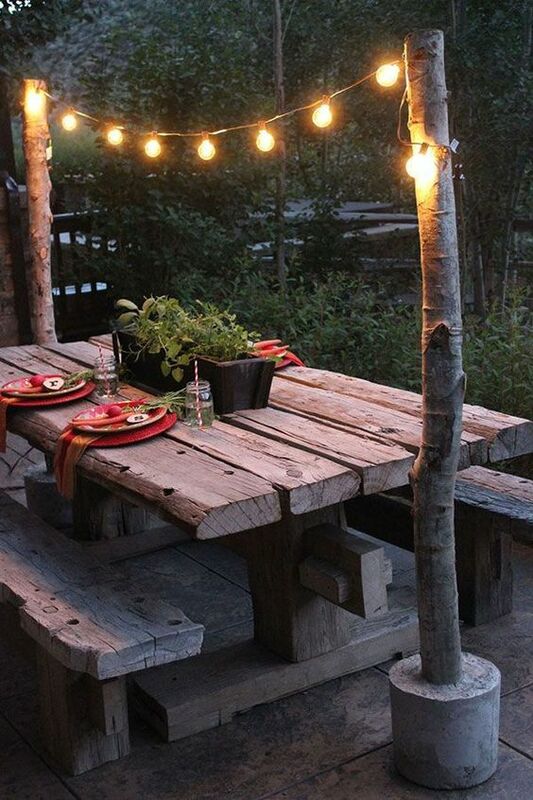 Lighting up your outdoor spaces isn’t a problem to solve – it is an opportunity to make the space your own, as you will see here. 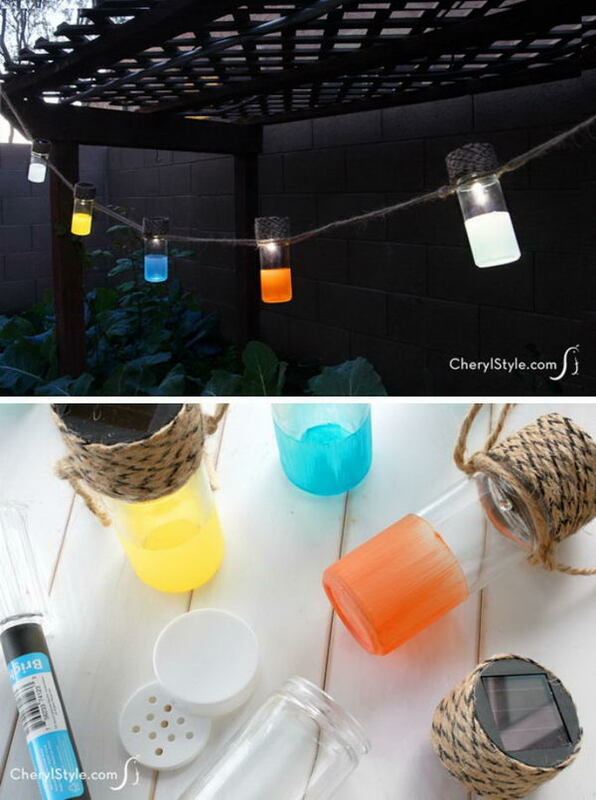 Enjoy these Cheap And Easy DIY Lighting Ideas for Outdoor. 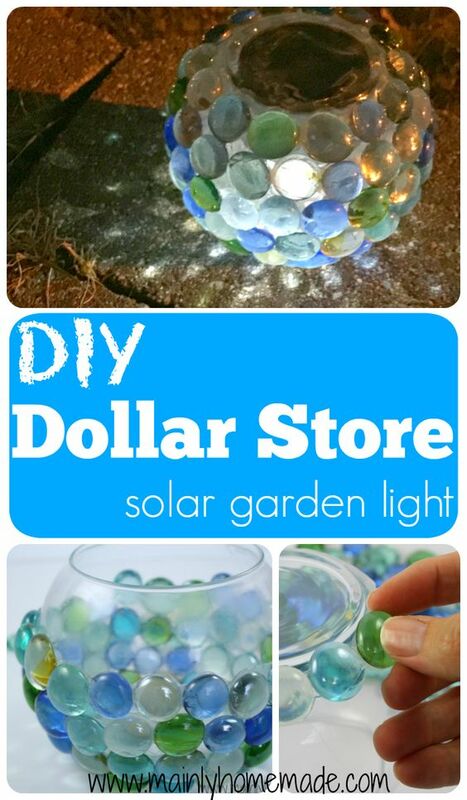 This is one of those projects that literally anyone can accomplish. 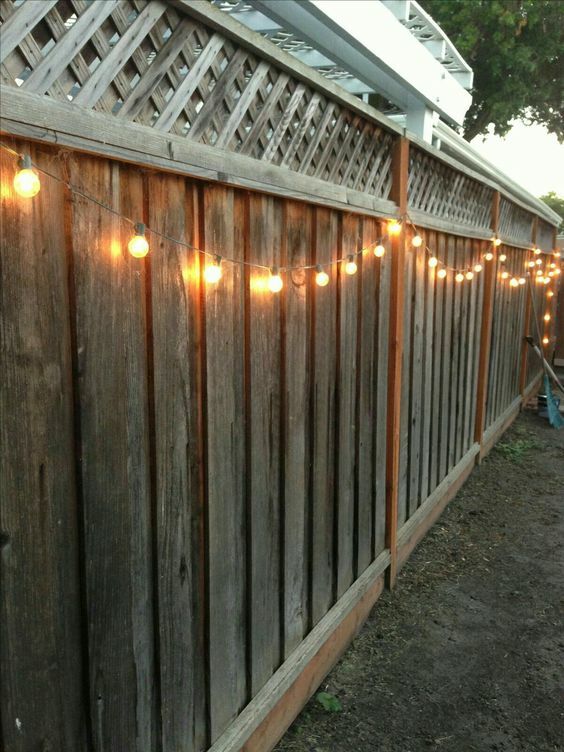 All you need to do is take your large fairy lights and hang them like garlands on the top of your fence, then set a timer so they turn on at night. This is one of those two-in-one projects, where you take a post and hang multiple things on it. 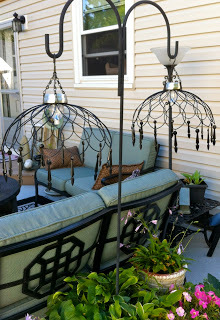 This one has a cone carved at the top and it holds the hose on one side while also featuring a decorative hook with a vintage-style lantern on the other. 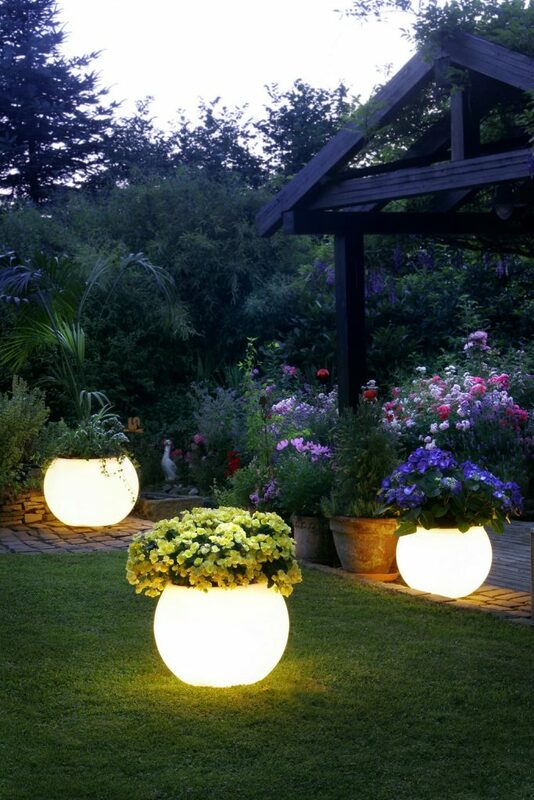 This project is quite ingenious because the pots do glow, but there are no actual lights, power or even fire involved. 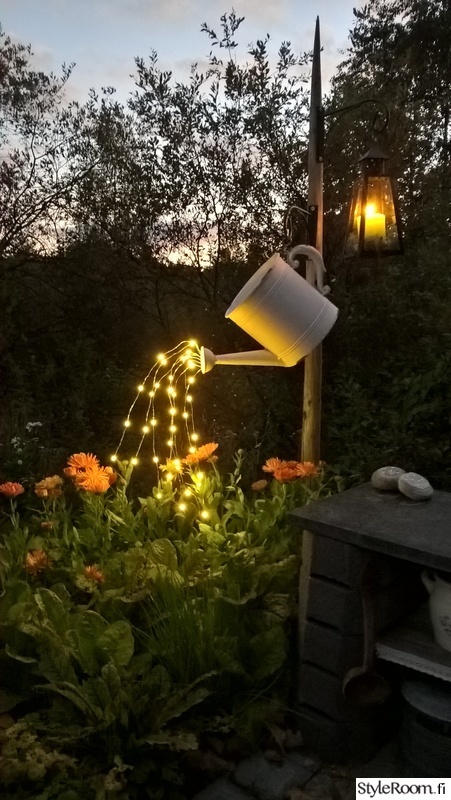 All you need to do is get some nice flower pots and paint the outside with a healthy coat of glow-in-dark paint to get them shining without hurting the flowers. 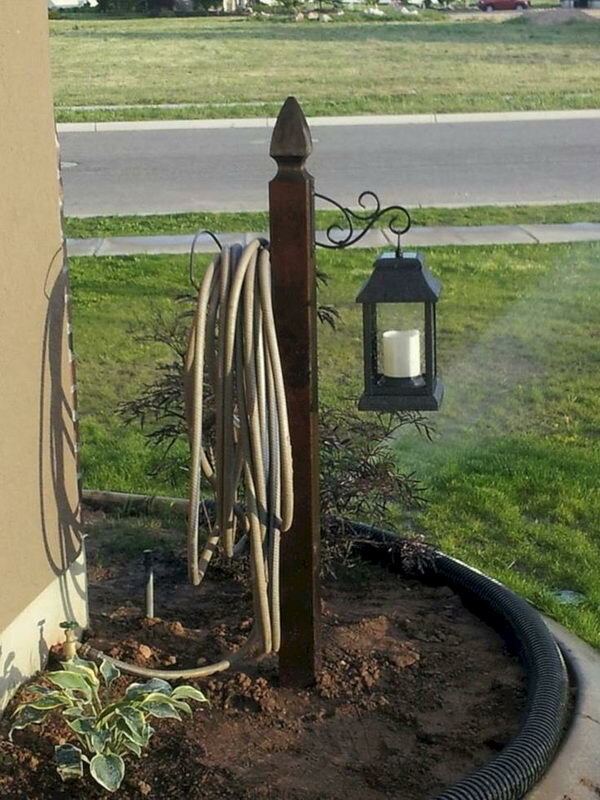 This stone-looking pedestal bucket could be a planter, but the plants are around instead of inside here. The bucket is actually filled with water on which some candles and flowers float, barely breaking the surface. 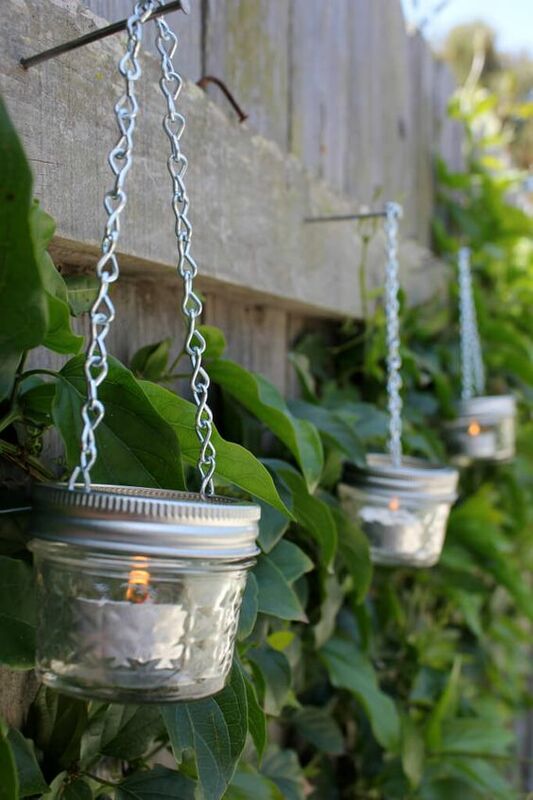 When lit, the candles should create a beautiful and reflective glow. 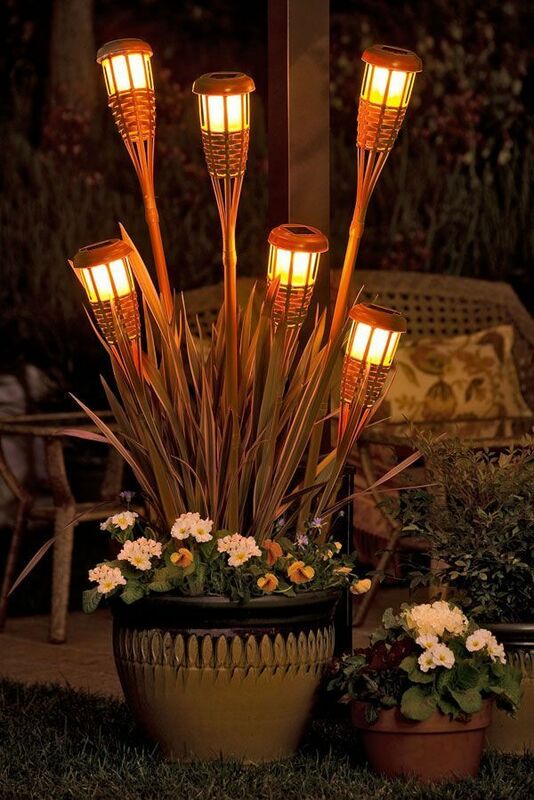 This planter is illuminated by vintage-style landscape lanterns, which are conspicuously “planted” among the rest of its beautiful contents.